Our journey began in 1998 and our core values have always been reflected in our program. We believe that children learn through play. Through play, each child is encouraged explore, to experiment, and discover using their unique learning style and interests. We believe teachers are facilitators who set up the environment to promote discovery. As a school community, we hope to to better understand how young people learn. We teach respect and appreciation of each other’s differences while enabling a sense of pride in each child’s uniqueness. We are growing together and we are working towards personal betterment, but we each have different starting points, rates of growth and ways we grow. We recognize that changing circumstances and needs require flexibility. Likewise, CBI Preschool and Kindergarten changes its pedagogy as we as individuals grow and change, always striving for improvement. We encourage an awareness of self, others, and our environment, both in the classroom and the greater world. We recognize Shehekeyanu moments as they arise. We present opportunities to discover and imagine. We encourage exploration and guide discussion, reaching beyond the apparent. We promote growth of relationships through teaching and modeling compassion, empathy, open-mindedness, and respect. We believe that collaboration between teachers, parents and children are an essential part of our environment. We support each other not just as a school, but as part of a larger community. 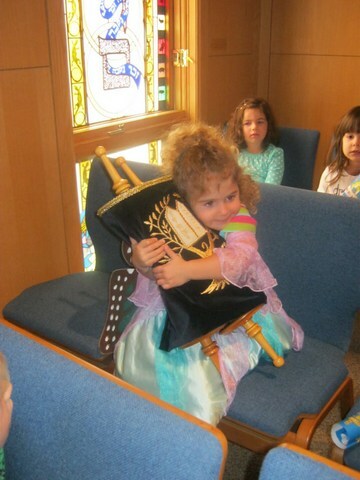 We take a holistic approach to each child, to Judaism and to the curriculum as a whole. Children are encouraged to ask questions and seek answers. Together, parents and teachers work as partners to guide the child’s interactions with the world. Jewish values, customs and traditions guide all aspect of our teaching.